Over the past months two singles from this album already came by, making me really want to get acquainted with Extra Credit. Superficially you could ask me the question, why? Brad Marino is not the best singer on earth. His songs sound overly familiar to anyone who grew up with 60s and 70s music. Yes, it has all been done before. Probably Brad Marino himself will be the first to admit these facts. So, again, why? The answer is as simple as it is true: because the songs on Extra Credit are so infectuous. Nearly each single one crawls under my skin, mulls around for a short while and exits again through my mouth for the sheer joy of singing along. These songs are extremely catchy and could have been hits in the era they really belong to, the pop and punkrock days of 50 and 40 years ago. 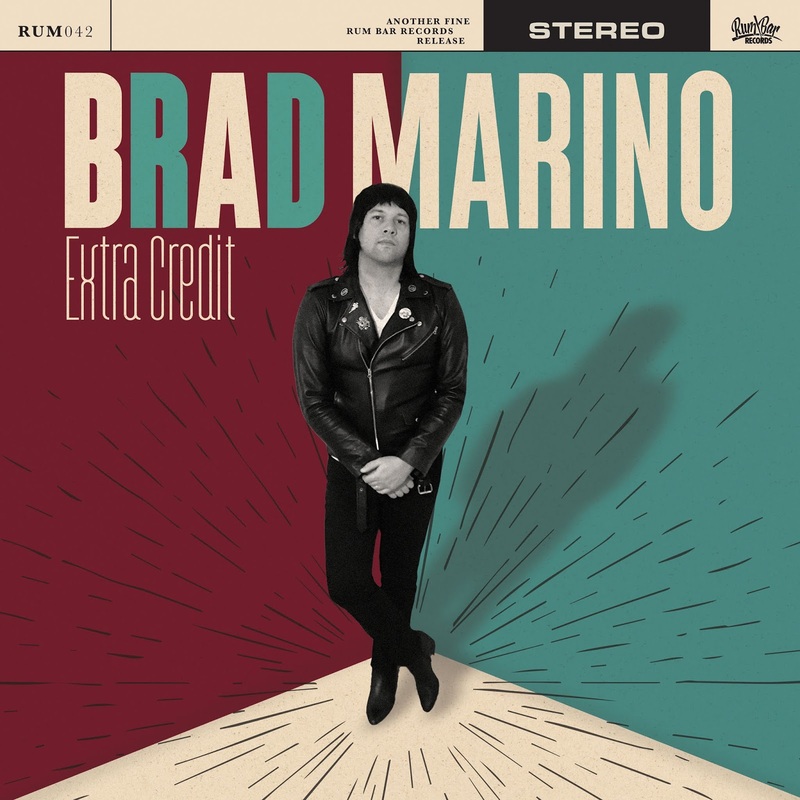 Brad Marino is able to write songs that last under three minutes, yet contain it all. Nice hooks, memorable choruses, a pointy, spiked solo and traditional endings. 2 Minute something and it is all over. Right at the start 'Broken Clocks' mixes The Ramones with The Beach Boys and Chuck Berry. Just like The Ramones did, without youths noticing at the time. In hair and dress Marino can stage Johnny Ramone in any tribute The Ramones band, lending the last little piece of the puzzle its place. 'Broken Clocks' contains it all, pure rock and roll (and yes, it clocks over three minutes, sorry). With 'No One Else Tried It' the tempo is upheld. A piano enters the sound as does a Hammond. Of course the real solo is a pointy rock and roll guitar solo. Moving into the album I find that nearly all the songs have a catchy riff or lick that makes them instantly likeable to me. That started with my introduction to 'C'Mon C'Mon C'Mon'. That 2.06 minute foray into 60s rock and roll with The Ramones attack. Poppier than nearly everything The Ramones ever made, with a better singer. It showed me the fine nose Brad Marino has for a good pop melody while staying totally credible. Something someone like Dave Edmonds or Nick Lowe did in the 70s and 80s for rock and roll. Brad Marino takes the best from punk music to add to his classic rock and roll influences. Extra Credit ends with a total rock and roll cover. Chuck Berry's 'Bye Bye Johnny' gets a fantastic sounding rendition showing the world that Brad Marino knows exactly where Abraham found the mustard. With modern instruments, recording and playing technique, 'Bye Bye Johnny' gets a befitting honouring. A sound that was impossible to get when Chuck Berry recorded his songs in the 50s. It makes Extra Credit go out with a bang it deserves. The fact that it adorns the record as a final song, makes the point that Extra Credit could easily have done without this great rock and roll song, extra noteworthy. It stands is own ground and some more. Like in a huge pedestal and giant statue erected for great music. In honour of what went before and in its own right. Extra Credit is extreme fun.